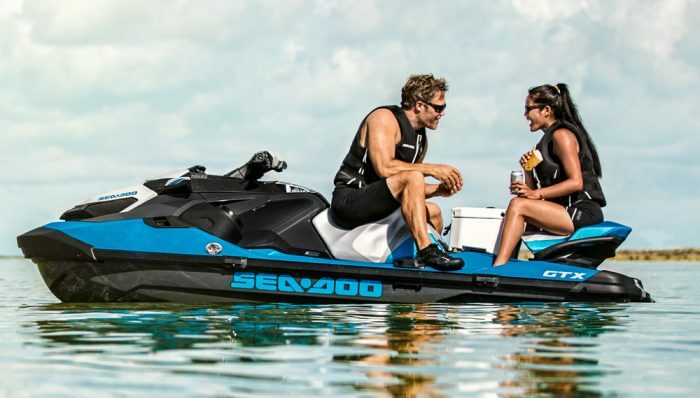 At first glance, the 2017 Sea-Doo GTI SE doesn’t seem all that different from the 2016 model that preceded it. Look closer, however, and you’ll discover Sea-Doo has thrown quite a bit of change the SE’s way. From hull and deck materials to a new engine, the SE is definitely more than meets the eye. Last year’s GTI SE models came in two variations, the GTI SE 130 with the 130hp Rotax or the GTI SE 155 with the 155hp variant of that same 1,494cc engine. 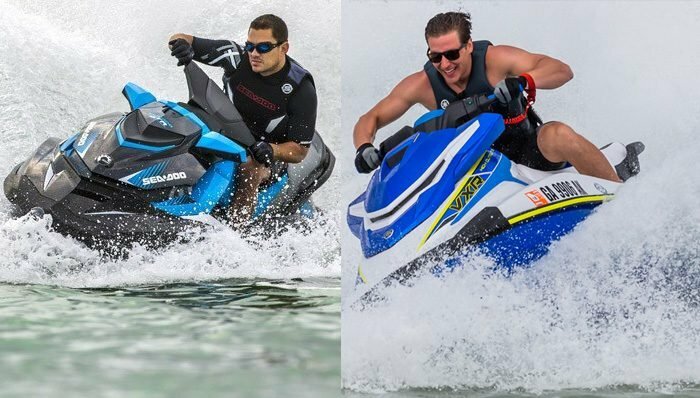 The 2017 model year adds a third variation to that mix, the 90hp Rotax ACE 900 (899cc) popularized by Sea-Doo’s Spark model. Each hits a target price point, and offers unique power. 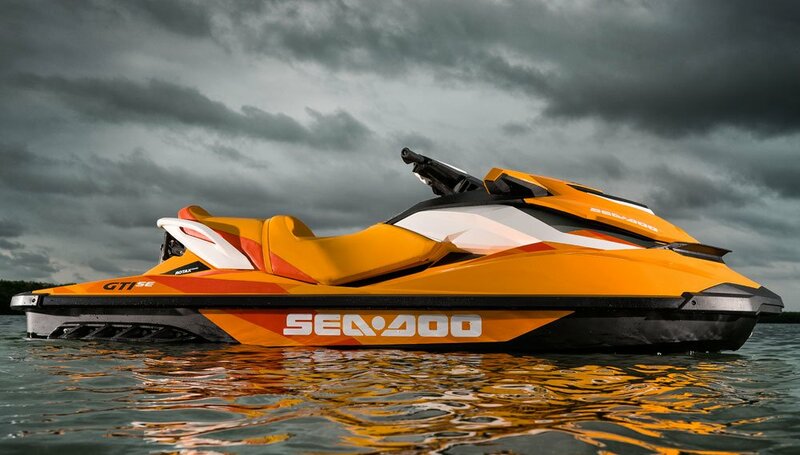 The ACE 900 is clearly the most fuel-efficient, but is it enough to power this larger craft? Before we get to the answer, consider this — the 900 model also gets a new hull. Not surprisingly, that hull is the same as you’ll find on the Spark. Sea-Doo’s PolyTec material is a ‘high-impact” composite, essentially polypropylene reinforced with long-strand glass fibers. Its low weight, along with the lower weight of the 900 engine, knocks 150 pounds off the weight of the other SE models. Rather than 790 pounds, the base GTI SE now weighs in at a mere 640. 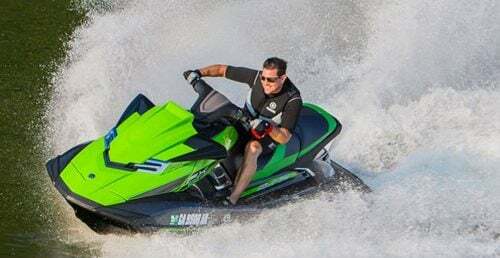 Yes, that’s enough of a weight savings to keep the 2017 Sea-Doo GTI SE fun in a recreational sense, but don’t expect a comparison to even the 130hp model. 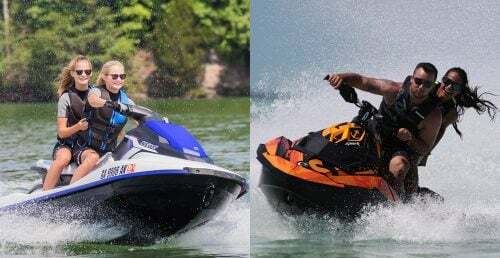 The craft topped out in only the mid-40mph range during my real-world conditions test (Sea-Doo notes 43 mph on top end), and while acceleration may be solid, it’s not the crisp pull many enthusiasts have become accustomed to. Still, it’s fun to whip through a corner, as the lesser deadrise GTI hull design remains a solid and playful platform. Interestingly, it also responds a tad differently, as the lighter weight allows the hull to ride a touch higher in the water. Beyond the hull and engine change, features are familiar, and as the SE designation implies, a step above the basic. Intelligent Brake & Reverse (iBR) remains the most useful. It knocks about 160’ off the distance required to stop the craft at speed, hence the brake reference. It also pays very practical dividends when it comes to low-speed handling. iBR allows the craft to start up without movement, just like a traditional boat. 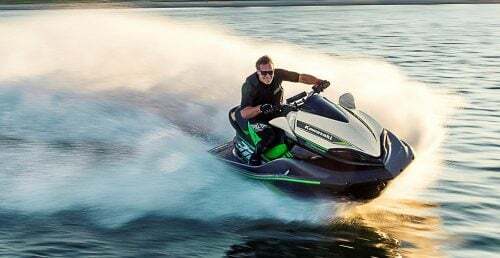 It then provides hands-on-the-bars, eyes-on-the-water control by allowing the driver to quickly shift in and out of forward, neutral and reverse via the throttle and iBR lever (located similar to the throttle but on the left side of the handlebars). 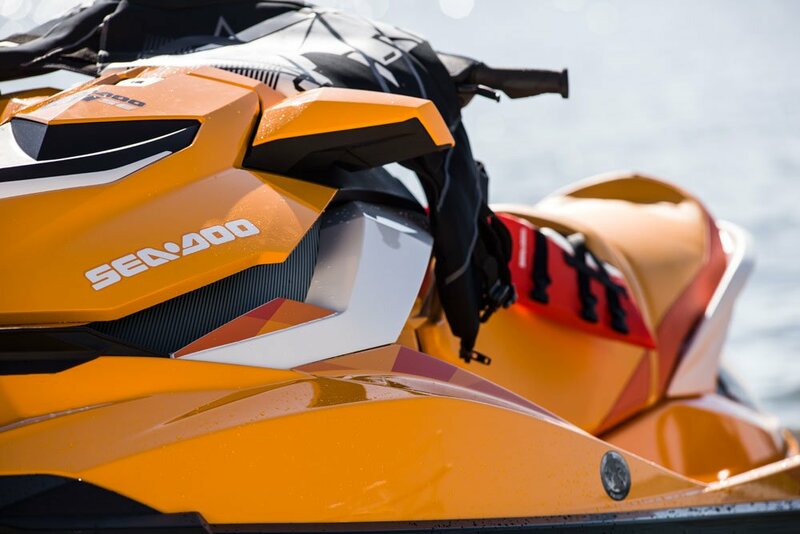 Other features include “intelligent” throttle control to provide a choice of two acceleration profiles (touring or sport) as well as a fuel-savings mode; Sea-Doo’s familiar theft-prevention lanyard system (a second of which can be substituted to govern top speed); and a full-featured information display with readouts including compass and hour meter. 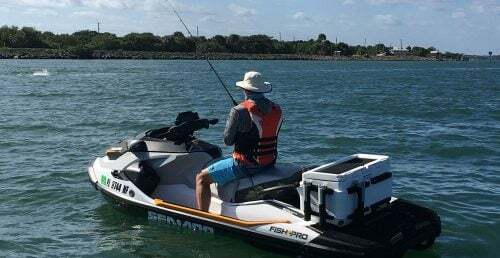 Other items of note are handgrips with incorporated palm rests, wide-angle mirrors, pop-up style fuel fill, and near 31-gallon storage capacity. 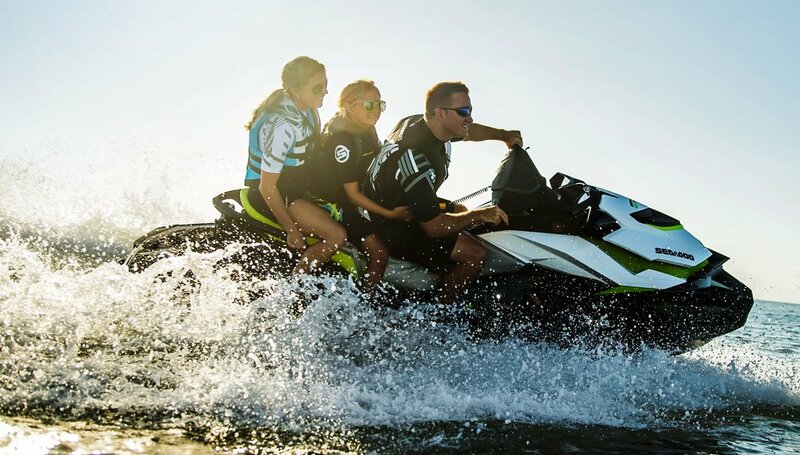 As to those “special edition” features that set the craft apart from the normal GTI, look for a supportive touring-style saddle, variable trim to adjust for acceleration or top speed, passenger load, or water conditions, an aft reboarding step, swim platform traction mats with the Sea-Doo logo, and additional gauge functions (trim indicator, fuel consumption, and clock). If you’ve read to this point and are still hung up on the “why” of the 90hp engine/PolyTec hull addition, the answer is most likely price and positioning. 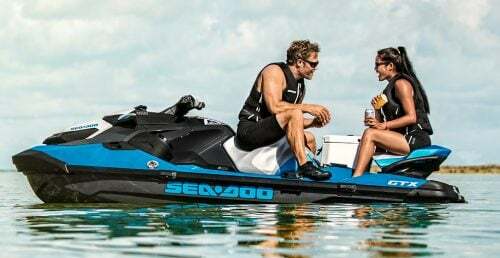 At $9,599, the 90hp 2017 Sea-Doo GTI SE is an affordable step up for existing recreational enthusiasts, a comparably priced model to the brand’s primary competitor, but also a viable alternative for those first-timers intrigued by Sea-Doo’s own Spark but wanting a larger hull with a few more amenities. It’s like the Spark’s big brother, in a sense, a craft that prizes price and fuel economy over all-out performance but still looks, feels and handles like a higher-end model. 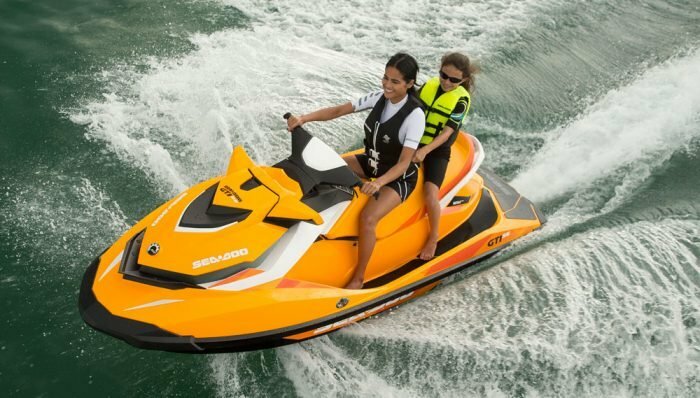 As to alternatives, Yamaha’s VX is identical in length, passenger capacity and price, and features Yamaha’s RiDE system. 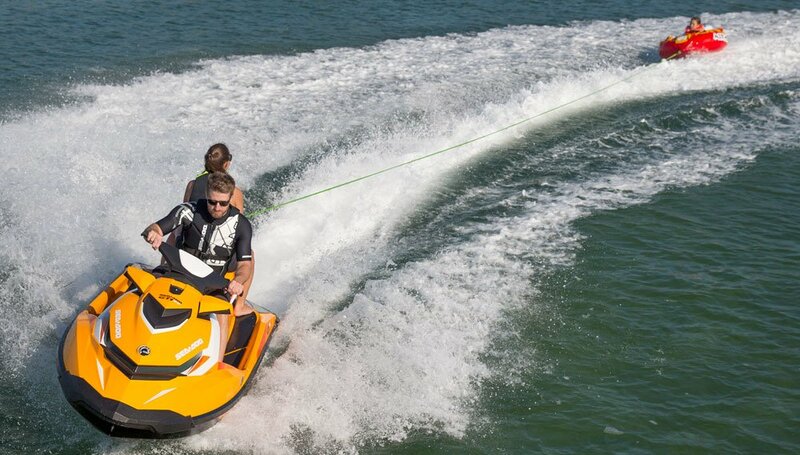 With a more powerful engine, the VX holds an edge in speed, typically topping out in the 53 mph range. 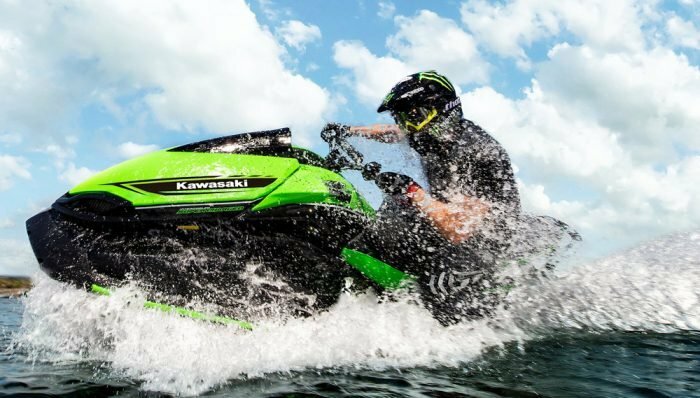 Kawasaki’s STX-15F ($9,699) easily bests both models in terms of top speed (62 mph), but runs $100 more and offers far less features, including no electronic reverse/deceleration feature, acceleration modes or trim.